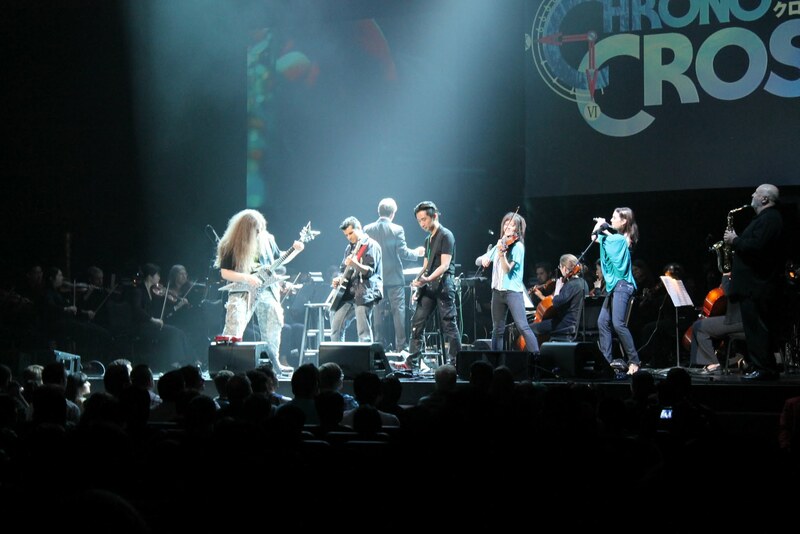 The brainchild of composers Tommy Tallarico and Jack Wall, Video Games Live was a groundbreaking and bold move for the world of performed video game music. 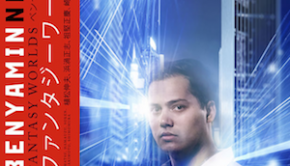 Concerts dedicated to the music of video games were not a new concept, as Japan had been doing them for years in addition to Thomas Böcker with his Symphonic Game Music Concerts in Germany and Hiroaki Yura for A Night in Fantasia in Australia. However, VGL was the first major concert to be performed in the United States, later expanding their shows worldwide. Originally making its premiere in 2005 at the Hollywood Bowl, VGL has since toured all over the world achieving critical acclaim and success. 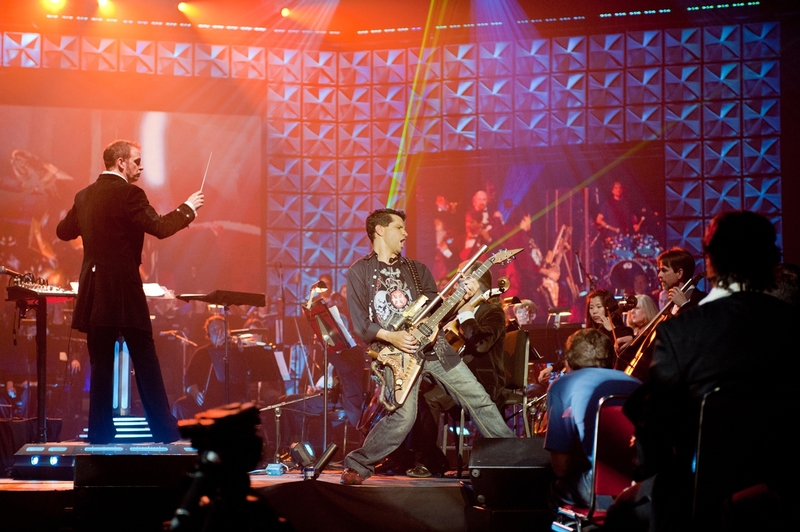 Unlike other productions which performed the music straight through, VGL had the distinction of showing game footage on the big screen and utilized synchronized lighting in conjunction with the orchestra. Certain portions of the show contained guest appearances from veterans of the industry, while audiences participated in game competitions and costume contests. The overall experience was something akin to a rock concert, rather than a classical one, but in any case the video game music was still the main star. 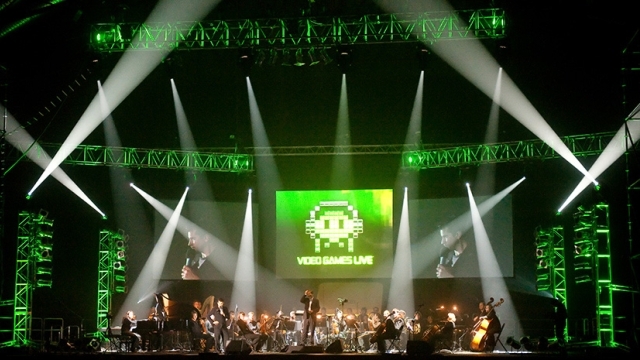 In 2008, an album containing recorded performances from the show entitled Video Games Live Volume One was released after several delays. While it fared well commercially, professional reviews considered it to have a lackluster selection along with odd production choices. 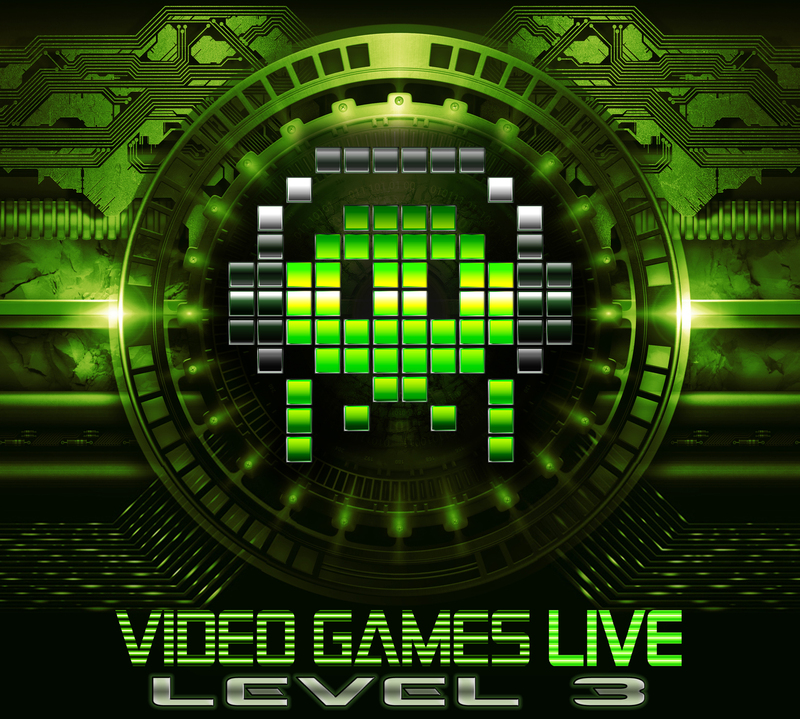 Two years later, Video Games Live: Level 2 followed, being released as both an album and a video concert on DVD and Blu-ray. The Louisiana Philharmonic Orchestra performed this show, with the chosen segments finally including legally-tricky arrangements for games such as Mario, Zelda, and Final Fantasy. This release was certainly an improvement with its more robust selection, but while the first album had the advantage of being a studio recording, Level 2 was a live performance instead. While this was fine for the DVD and Blu-ray release, hearing it on an album lowered the overall quality considerably. Tallarico’s segment announcements, crowd noise, and performance flaws prevented it from being a truly great listen. Multiple tracks were also repeated from the first volume, when new content would have been a better option. Exceeding its original goal of $250,000, the project was a success and the album was made available in February 2014. 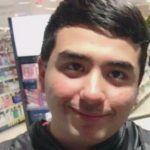 Given the history of VGL and its releases, can Level 3 prove that third time’s the charm? Fan-favorite Final Fantasy VII piece “Liberi Fatali” begins the album. This is a series staple to any casual listener of Final Fantasy soundtracks, and the VGL interpretation manages to the score justice. A short motif from the choir (heavily featured here) leads in to the rushing bass and cello, followed by a brass call. 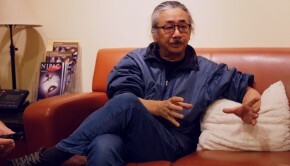 The huge operatic scale truly allows Nobuo Uematsu’s work to soar here, and I was entrenched through it all. The strings and choir in particular both feature strong performances that lead the piece through its three minute runtime. Continuing with the JRPG theme, we move on to “Scars of Time,” the opening track from Chrono Cross. Although the original piece was already performed by live instruments, this version ups the quality considerably. The beginning guitar and bass have a crisper and deeper sound, while the flute solo is delicately played flowing with the orchestra. Halfway through, the tempo picks up transitioning into the famous violin solo that all Chrono fans know by heart. The duet with the flute leads the dance-like melody to a close. The performance of the “Dragonborn Theme” from Skyrim is more or less a carbon copy of the original piece. The tribal theme primarily focused on the male choir and percussion has become somewhat of an Internet meme due to the game’s popularity, and has received a ton of remixes online. I wasn’t too much a fan of Skyrim’s music to begin with, so this arrangement didn’t do too much for me. It’s not necessarily bad, just a tad generic. A curious track is the “Tetris Opera,” which is about as ludicrous and silly as one can imagine. I highly doubt that Alexy Pajitnov even considered for a moment that his game would be performed by an orchestra. In all seriousness though, it’s actually an arranged version of “Korobeiniki” which was the basis for the “Type A” music found in the original Game Boy version of Tetris. It’s a humorous novelty, but frankly has no place in a concert dedicated to original game music. Also featured is Beyond Good and Evil. While I have heard of the game, I have personally never played it nor do I have any familiarity with its music. The VGL track here reminds me of Hollywood’s cinematic scores and features some emotional choir performances. As a whole though, it’s sort of forgettable. Next up is the “Zelda 25th Anniversary Overture,” a track that I was initially skeptical of due to the sheer number of arrangements that the Zelda series has seen over the years. The serene “Title Theme” from Ocarina of Time makes its appearance right at the beginning, while the haunting piano bars and flute solo leading the melody. The VGL performance adds a bit of improvisation to the flute performance which is a nice touch, but its immediate transition “Hyrule Field” feels very jarring. Luckily, the performance of the theme itself is top notch, featuring an exceptionally strong brass section. After the piece’s more somber section, we move on to “Midna’s Theme.” The flute’s performance of the theme is well-done, though I would have personally liked to have heard it on the clarinet. The next melody is the immortal “Zelda’s Lullaby” which has been performed countless upon countless times. The flute adds in a few extra improvised notes and flows with the orchestra, which gives it a more refreshing feel. My own favorite Zelda piece “Dragon Roost Island” comes next, though it’s brief. Still, the performance manages to keep the Celtic nature of the tune and I enjoyed the flute’s interpretation of the theme. Following that is the Hyrule Field Theme from Twilight Princess, another favorite of mine. I always enjoyed the epic scope and adventurous nature of it while roaming the open world of the game. Those feelings came rushing back when I heard this arrangement, so I’d say it earns my approval. Finally, the main Zelda theme explodes from the brass, ending the track. Though on the short side and having a few transitions that could have been done better, the VGL arrangement decently holds up. Also interesting is the performance of The Secret of Monkey Island. I absolutely loved the original LucasArts graphic adventure game, having a hilarious script and intelligent puzzles. Composing music for 1990s personal computer systems was notoriously difficult back in the day, but Monkey Island had a memorable theme with good synth. Here, the arrangement brings out the tropical vibe of the titular location with the use of steel drums. The inviting theme from the orchestra hints at the adventure, perils, and treasures the player with encounter as he guides Guybrush Threepwood throughout the island. As a theme that’s hardly ever performed live, it was nice to see it being included here. The monster-catching RPG series Pokémon loved by millions of gamers worldwide finally gets its own segment after much demand. The track opens up with a rather uninteresting performance of the series’ main theme. The trumpets lack the punch and crispness the piece truly deserves, and I found the arrangement on the Super Smash Bros. Melee Smashing… Live! album to be a better alternative. Thankfully, the next portion of the medley proves to be better. Tommy Tallarico on electric guitar joins in with a performance of the “Trainer” battle theme. Fast-paced just like the original, it’s a faithful recreation. What follows is a march-like tune that sounds like a victory theme. Due to my lack of familiarity with the series, I’m not entirely sure of what the piece actually is. Nevertheless, the Prague Philharmonic turn in a spirited performance that’s well done. 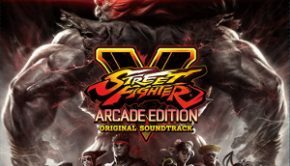 Street Fighter II is the most “gamey” track on the album, even including the original digitized clip of “Sonic Boom!” The opening is definitely one for the fans being a rock/orchestral fusion of Guile’s famed theme which has gone on to Internet fame. The electric guitar solo is phenomenally done the whole way through, especially when the medley shifts into Ryu and Ken’s themes. Another Japanese favourite, “Theme of Laura” from Silent Hill 2 is one of the most beloved tracks in all of video games, so I had high hopes for the VGL arrangement. Needless to say, I was not disappointed. The percussion joins in after the guitar’s introduction of the main melody. After a bit, the guitar comes in fully with a spectacular performance by Akira Yamaoka himself, each note delivering the right amounts of emotion. As a huge fan of Yamaoka’s work, it was an absolute joy to hear this spectacular theme performed by a full orchestra. This is the standout track on the album. A must-listen. Little needs to be said of Austin Wintory’s soundtrack to Journey that hasn’t been already. It was the score that proved to the world that VGM could be taken seriously, gaining a prestigious Grammy nomination and heaps of praise from major publications. The fact that VGL is performing it here almost feels like an after-thought, as the original studio recording of the album was damn near perfect. Still, the orchestra gives in a passionate playthough of Wintory’s string-based themes and we get some good operatic vocals. Really though, nothing beats the original. Likewise, fan-darling Shadow of the Colossus was already renowned for its exceptional sound design and fully orchestrated score. The VGL arrangement is pleasing to hear, and I enjoyed the haunting introduction section performed by the flute solo and choir. The latter half is a battle theme that the orchestra plays with fast-paced intensity. However, the short running time of three minutes cannot do this game’s score full justice. Like with Journey, there’s simply nothing better than the original recording. While the novelty of hearing the game’s music live in person is great, one would find a far more rewarding experience simply listening to the actual soundtracks. I missed out on the entire World of Warcraft scene when it was gaining popularity, and have no intentions of getting into it now. Still, I’ve heard a few pieces of music from the series before, and my overall impression is that the sound is enjoyable. The VGL performance of “Invincible” had my full attention though, and I absolutely loved the female vocal solo leading the choir with ominous strings. This piece is simply beautiful and while I may not be a fan of the series, I certainly enjoyed listening to it. Talking of Epic, Dota 2 by the makers at Valve has taken the globe by storm. Tons people watching and competing in tournaments with millions of dollars in prizes, it’s one of the quickest growing PC games in the past decade. The game’s immense popularity makes the inclusion of the track on this album as no surprise. Jason Hayes’ fingerprints are all over this score, heavily reminding me of Warcraft. While the performance is good with bombastic brass and some ethnic instruments, I found it to be overall quite forgettable. The album’s final track is, quite simply, a disaster. What could have been a great piece to end on has instead been completely butchered to oblivion. “Still Alive” from Portal is one of the most recognizable video game themes of all time, right up there with “Ground Theme” from Super Mario Bros. and “Snake Eater” from Metal Gear Solid 3. Somehow though, VGL’s arrangement completely screws it up. Unlike the other tracks on Level 3, this is a live recording from a show in Santiago, Chile. As a result, the sound quality is a hundred notches below the rest of them. Not even Video Games Live: Level 2 was this bad. That’s not even the worst of this song’s problems though. The ENTIRE CROWD sings the lyrics while clapping the rhythm, resulting in an overly cheesy and poorly done rendition of “Still Alive” that I could never imagine myself listening to more than once. There’s nothing else to say about it. It’s an awful “arrangement” of one of the greatest ending themes ever. Avoid it like the plague. Video Games Live: Level 3 is a substantial improvement from the last two albums, but still remains a mixed bag. “Theme of Laura,” “Street Fighter II,” and “Scars of Time” are exceptionally done. The medleys for Zelda and Pokémon are decent, yet there have been better arrangements. Others like Shadow of the Colossus and Journey feel slightly redundant due to their respective soundtrack releases having far more richer experiences. And like I mentioned, “Still Alive” is a travesty. From a fan’s perspective, I find it disappointing that the Classic Arcade, Metal Gear, and BioShock segments were not included, though I can imagine those are due to legal issues that have plagued VGL’s album releases for years. Level 3 is nowhere near the gold standard of video game concert albums set forth by the likes of Symphonic Fantasies, but I wouldn’t discount it entirely. At the digital price being $10, I find this one to be hard to recommend fully but you could do a lot worse with your money. More casual listeners may want to download certain tracks individually or seek out the original scores instead. 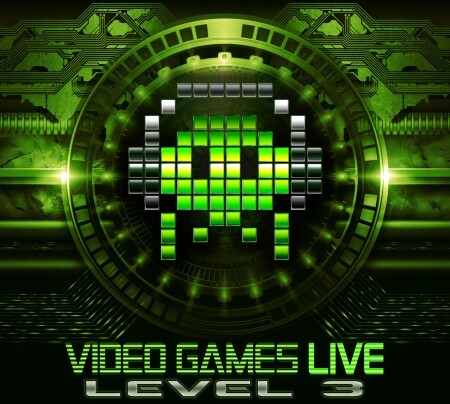 Overall, Video Games Live: Level 3 is a decent album that contains moments of greatness, but suffers from some weak arrangements and short track length. I’d say pick it up if you’re a diehard fan of the show or if you simply want to support Tallarico and his folks. It truly is an achievement that we have this album in the first place. Let’s just hope that a potential fourth volume can alleviate these issues. Posted on September 14, 2014 by Oliver Jia. Last modified on January 19, 2016. Basically sums up my thoughts on the album as well, which was a bit of a shame. I wouldn’t have been quite so hard on “Still Alive” though, haha. It serves its purpose as the bonus audience sing-along, but it’s true that I always skip it. I don’t think that there really can be a good live performance of that song. It’s meant to be something that can only really be done with a digitized voice. Even songs like Snake Eater are difficult to perform live. It’s hard to match the high standard set forth by the original artists.